Livy (Titus Livius), the great Roman historian, was born at or near Patavium (Padua) in 64 or 59 BCE; he may have lived mostly in Rome but died at Patavium, in 12 or 17 CE. 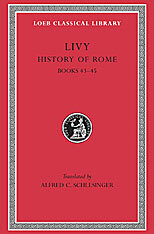 Livy’s only extant work is part of his history of Rome from the foundation of the city to 9 BCE. Of its 142 books, we have just 35, and short summaries of all the rest except two. The whole work was, long after his death, divided into “decades” or series of ten. Books 1–10 we have entire; books 11–20 are lost; and books 21–45 are entire, except parts of 41 and 43–45. Of the rest only fragments and the summaries remain. In splendid style, Livy—a man of wide sympathies and proud of Rome’s past—presented an uncritical but clear and living narrative of the rise of Rome to greatness. 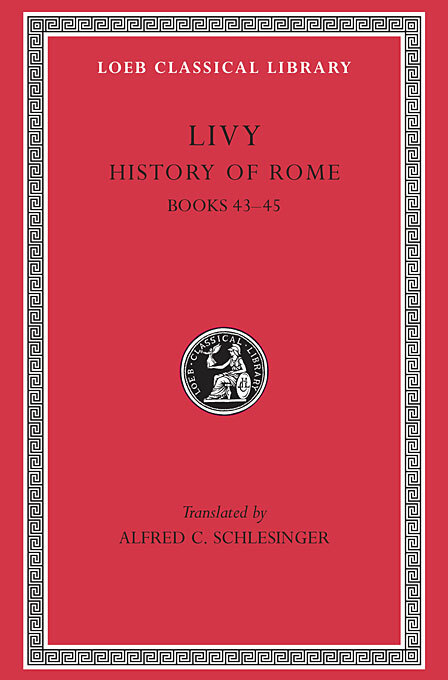 The Loeb Classical Library edition of Livy is in fourteen volumes. The last volume includes a comprehensive index.